An interesting book about an even more interesting friendship. Larry Alex Taunton is a columnist who started the Fixed Point Foundation, an apologetics organization that is probably best known for arranging high-profile debates between well-known atheists and Christians. For example, it arranged the famous “God Delusion” debate between Dr. Richard Dawkins and Dr. John Lennox. Other notable debates include The “Is God Great” debate between Christopher Hitchens and Dr. John Lennox and the “God on Trial” debate between Christopher Hitchens and Dinesh D’Souza. Because his organization has arranged such debates (and because he often moderates them), Taunton has met and gotten to know the participants, including Christopher Hitchens, who many recognize as an outspoken atheist. 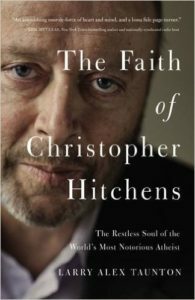 Despite the fact that Hitchens and Taunton were polar opposites when it came to their core beliefs, they developed a deep friendship, which is the topic if this book. Taunton’s publisher suggested that he write the book shortly after Hitchens passed away in late 2011, but Taunton wasn’t interested at the time. He didn’t see how he could write a book about their friendship that was both interesting and uplifting. However, as time passed and he thought more about it, he realized that there was a way he could get the job done. I have to say that he was right. This book is both very interesting and quite uplifting. I have already relayed one very uplifting part of this book at the end of a previous blog post. Now it’s time for me to share more. I can just hear Hitchens saying that to his crestfallen fan! Taunton’s reports of his trip through the Shenandoah Valley with Hitchens and their later trip through Yellowstone National Park are fascinating. He discusses how they read the Gospel of John together and the questions they asked one another. The accounts show a completely different Hitchens from the bombastic “New Atheist” who has no time for those who quote the Bible. Indeed, that’s a running theme throughout Taunton’s description of Christopher Hitchens. Taunton says that, like a dishonest accountant, Hitchens kept “two sets of books.” One set of books (one personality) was open to the public, and a completely different set of books (a completely different personality) was available to his friends. In no way does this imply that Hitchens was dishonest. Taunton is simply saying that Hitchens’s public persona was carefully crafted to communicate his atheism as effectively as possible. His private persona, on the other hand, was one of a genuinely nice guy who was still a devoted atheist, but at the same time was willing to discuss “the other side” congenially among his friends. Unfortunately, the sentence I highlighted in bold could be applied to a large number of media organizations, as well as a large number of individuals. This may very well explain why the most caustic people on both sides of an issue are the ones who get most of the attention. Did their mutual study of the Gospel of John change Hitchens’s mind? I think it’s pretty clear that it did not. Taunton admits that according to Hitchens’s family, God didn’t even come up in the conversations that Hitchens had during his last days on earth. Of course, because of Hitchens’s “two sets of books,” Taunton holds out hope that in his deep, private persona, Hitchens was considering a conversion to Christianity. Some writers have hyped that hope, and no one would be happier than me if it turned out to be true. However, even after reading Taunton’s book, I don’t think it is. It seems to me obvious from the discoveries of biology and embryology that the concept ‘unborn child’ is a real one…And it has to be granted to the Church that it has made this a centerpiece of its ethic and morality. I never thought much of Hitchens based on what I had read of his works. However, Taunton’s book raised my estimation of the man. Jesus said “blessed are the peacemakers”. If reading Taunton’s book raised your estimation of Hitchens, then good for both you and Taunton. 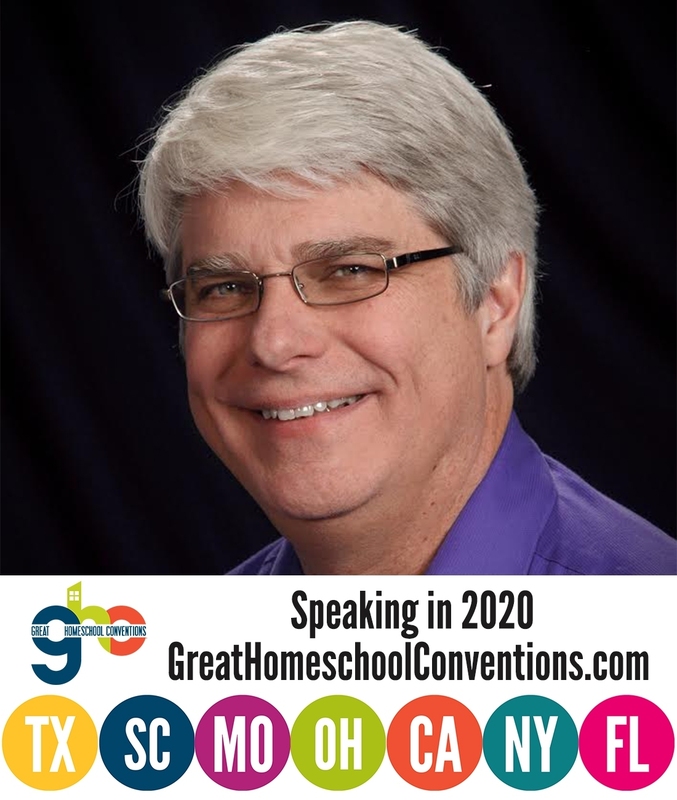 I’m looking forward to seeing you at the LDSHE convention later this month. I’ll be one of the people presenting demos at the STEM seminar. Excellent, David! I look forward to meeting you! Thats cool and we all know in real life these matters don’t divide people that much. It just tends to be that conclusions on these matters move in segregated identities in society. I welcome atheist big mouths because they bring attention to biblical claims and ideas. in reality atheists don’t matter and are tiny minorities and don’t represent evolutionism or those who agree with evolution. They are useful. In fact many evolutionists would deny even debating with creationism as if to say its settled in their favour. Its the atheist, with another agenda, that bring the public attention to the creation/evolution debate. Thanks for the review. I too had a low opinion of Christopher Hitchens, until reading this here; perhaps I’ll have to read Taunton’s book as well. It is very hard to accept that none of us is truly better than anyone else, and it is easy to look down upon one’s enemies. This isn’t entirely relevant, but how did you get started keeping up with the scientific literature on global warming? As a physics Ph.D. student who tends not to agree with several of the more controversial stances of the scientific community, it’s difficult to keep up with my fellow scientists when they tell me I’m wrong about things – even if it’s not their field. Because the media helps them out: there’s no shortage of thinkpieces and scary “science” studies about the new thing that’s going to make global warming even worse, which means if you agree with them you don’t have to put much effort into getting evidence that supports your opinion. But I’ve got to do some digging to find more honest and rigorous analyses of such things. So, where might I start with the climate literature, and where might I look for the analyses that haven’t already bought into global warming? I remember asking you about overpopulation and the Simon-Ehrlich wager a while ago, and you pointed me to an article on PERC’s website. It seems like gathering all the knowledge that you possess – enough to have debates about data with climate scientists in the comments section here – would have taken quite a long time. So I’d like to get started. In answer to your question, Jake, I got interested in global warming back when I was a graduate student. At the time, I was doing “Monte Carlo” computer calculations to model the nuclear reactions I was studying. These inherently statistical calculations take a lot of computational resources, and back in the 1980s, that meant one of my computer calculations could occupy the lab’s computer for several days. As a result, I started using one of the first parallel-processing computers. It had 128 CPUs, and you could send a different calculation to each CPU, collect the results, and aggregate them statistically. For Monte Carlo calculations, it was the perfect solution. Well, it turns out that some global climate models use the same method, so I was asked to help a graduate student in atmospheric physics run his calculations on the same system. Now please understand that I didn’t do ANYTHING related to the global climate model itself. That was way, way, way over my head. I simply showed the student how to adapt any code so it could utilize the parallel processing capabilities of the computer we were using. Of course, that got me interested in global climate models, especially when the graduate student would talk about the “fudge factors” that were used in the model. For example, at the time, global climate models couldn’t even get the energy budget of the atmosphere correct, so in most models at the time, the earth was simply moved closer to the sun to “correct” for that inability. Since my work with this atmospheric physics graduate student got me interested, I started following the literature, at least to the point where I could see how these global climate models were progressing in their ability to simulate the atmosphere. As a result, I am still following the science today. The first two are global warming alarmist sites, while the last two are global warming skeptic sites. They each discuss the relevant literature, so when an article discusses a paper of interest, you can then look more carefully at the paper itself. Thanks again Dr. Wile; I always get distracted and forget to respond for a few days. I remember watching An Inconvenient Truth and being amused by the graphic of a glassful of ice – not stacked above the rim of the glass or anything – that overflows when the ice melts. Maybe it wasn’t water? Whenever I talk to one of my physics friends about global warming, he always tells me it’s silly for me to think the whole field of climate science is wrong or misled about something so big, as that’s just too implausible. Yet that is indeed what has happened. I know enough philosophy/history of science that I understand that the scientific community isn’t always right, but still, saying that the scientific community is wrong feels like a drastic thing. What would you say to that, and what do you think made alarmism a consensus? I am not sure why you think that saying the scientific community is wrong is a drastic thing. The scientific community is often wrong. Time and time again, what I was taught as “scientific fact” has been falsified by the data. If the majority of scientists are wrong about climate change, that shouldn’t be surprising to anyone who has been paying attention to science over the past few decades! I have no idea why climate alarmism became the majority view among scientists. I only know that the data don’t support it. You should also read “Merchants of Doubt” [https://en.wikipedia.org/wiki/Merchants_of_Doubt] to inform yourself about the backstory to some of this controversy. If you are reading books, a much better one on the issue is Climate Change: The Facts. You could also watch the movie[http://www.amazon.com/Merchants-Doubt-Blu-ray-James-Hansen/dp/B00XIXGQ6S/ref=sr_1_2?s=movies-tv&ie=UTF8&qid=1462981094&sr=1-2&keywords=merchants+of+doubt], though the book is, of course, better cited.